A couple of weeks ago I received from Europe Direct NE an email about the European Day of Languages competition that they are organising jointly with ALL(NE). The competition is inspired by the current exhibition of the Lindisfarne Gospels in Durham, and the idea is that children select a short text in another language and present it as an illuminated text. Now I know what an illuminated text is and what one looks like, but it isn't something I've ever taught before. 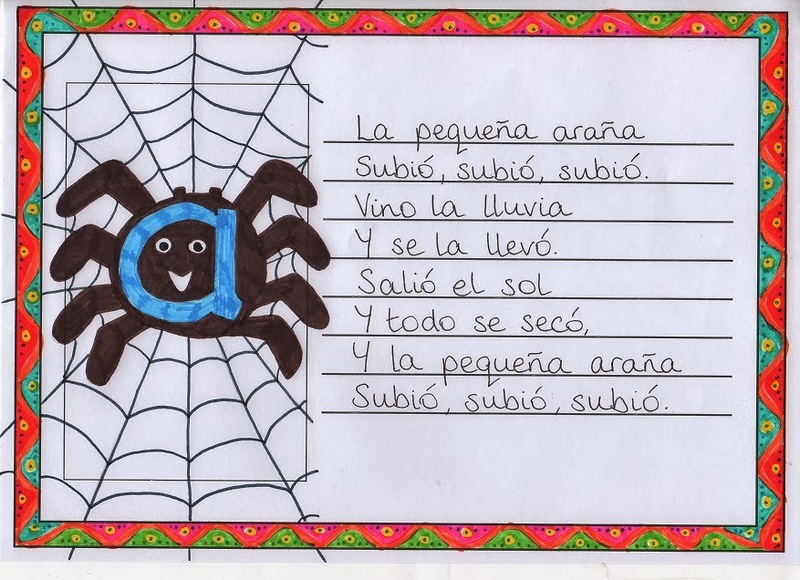 I'd really like for my KS1 children to have a go at this as well as KS2, but think that a properly illuminated text would be a little beyond the younger ones. Then I thought of this book that I bought in the Espace Culturel at Leclerc in St Jean d'Angély last month. 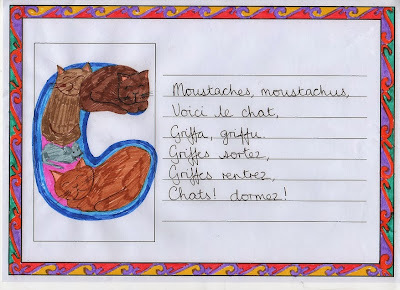 I like it because it combines handwriting, drawing, vocabulary-building and knowledge of the French writing system. It will be useful especially for KS1, for some cross-curricular literacy. The b becomes the head of a bélier and the c is the back of a crevette. I also like the l page where curly ls become the filaments of lightbulbs (lumières). 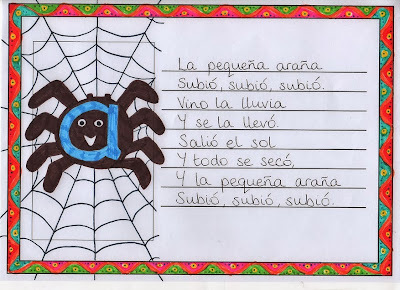 I'm sure children would enjoy taking a letter, writing it in their best writing and turning it into something in French/Spanish that starts with that letter, as well as writing the French/Spanish word in their best writing. Taking it one step further, there are many French comptines that would inspire an illuminated text using this as a basis. I should add that unfortunately the competition is only open to north-east schools. And if you are in a north-east school, no nicking my idea, right? !